Dostoevsky's influence on the modern literary mind is unrivaled in its scope and vitality. 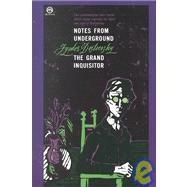 Nowhere does his art appear in so quintessential a form as in Notes from Underground, certainly one of the most revolutionary and original works in world literature. Nowhere is his thought presented with such authority as in "The Grand Inquisitor," an episode of central importance taken from his last and greatest novel, The Brothers Karamazov. In both these vital works Dostoevsky confronts the reader with the tragic grandeur of man -- indeed, with a whole philosophy of tragedy -- the tragedy of the individual and freedom, the tragedy of historical progress, the tragedy of universal evil. Chernyshevsky: Excerpts from What Is to Be Done?